Tenant Troubles: Can I Refuse To Sign A Lease? Assume I live in a rent-controlled building. Why does the landlord make me sign a lease? OK, maybe it’s because they don’t want to look for a new tenant, so I’d sign a one year lease. But given how rents rise in the city, after a year they’d probably love if I move out. But let’s say they don’t, and they want me to stay. One-year anniversary of lease rolls around. Landlord asks me to sign another lease. What rights do I have then? While I wouldn’t MIND signing a lease, if I don’t, I’m under rent-control anyways, so wouldn’t the term go month-to-month? In other words, if I signed a lease, I’m just giving up the flexibility to move away any month I want…without getting anything in return. I’m stuck in the same spot for another year and liable to pay that rent. BUT, I can never find the definitive answer to this. I read one place that as that year approaches, the landlord can ask you to re-up on a lease at all the normal rent-control same terms (same rent plus the allowable increase, no material changes, etc). In THAT case, if I refused to sign the lease again – I could be kicked out. The reasoning was that I was offered the ability to continue to stay there at basically the same terms…and I refused (instead I asked for “more” via a month-to-month tenancy, which the landlord doesn’t have to accept). So, which is it? 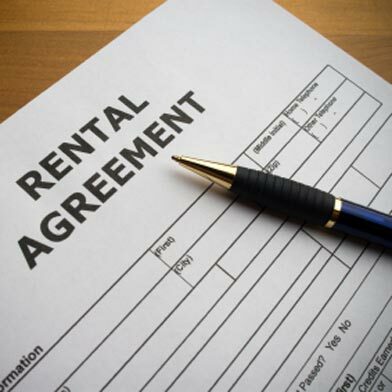 Should a tenant in a rent-controlled apartment ever re-up with leases? Or can they say “No” and rest easy knowing the landlord can’t kick them out? My business partner, Solvejg Rose, a German lawyer, taught me a very valuable lesson. When in doubt, read the statute. In the United States when we study law, we read a lot of cases interpreting the law but we tend to forget to rely on the wording of a given statute, the actual law. Often, a plain reading of the law is enough to make a legal argument. For lay people it can be tough to find the applicable statute to interpret. That’s why I always try to cite the law and/or provide links to the law in these articles. I hope my readers can learn the basics and then ask, as you have, how the law can be applicable to an individual set of circumstances. The tenant, who had an oral or written agreement with the landlord which has terminated, has refused after written request or demand by the landlord to execute a written extension or renewal thereof for a further term of like duration and under such terms which are materially the same as in the previous agreement; provided, that such terms do not conflict with any of the provisions of this Chapter. Before I get into the application of this just cause in the Rent Ordinance, here’s a method for tenants to find answers to their general questions. First, ask yourself, “Can I be evicted if I (fill in the blank)?” If your unit was built before June 16, 1979, begin your search in §37.9 of the Rent Ordinance. The subparts of §37.9(a) list the just causes for eviction in San Francisco. If you need to consult other resources, we provide a complete list of them on the Crow & Rose Tenant Resources page. Notwithstanding any change in the terms of a tenancy pursuant to Civil Code Section 827, a tenant may not be evicted for violation of a covenant or obligation that was not included in the tenant’s rental agreement at the inception of the tenancy unless: (1) the change in the terms of the tenancy is authorized by the Rent Ordinance or required by federal, state or local law; or (2) the change in the terms of the tenancy was accepted in writing by the tenant after receipt of written notice from the landlord that the tenant need not accept such new term as part of the rental agreement. When the one-year anniversary rolls around, just compare the old lease with the new, side by side. Hint: If your old lease is a one-page stationery store form and your new one is a 34-page San Francisco Apartment Association lease, you can bet there will be a few more new terms–like about 60! It does seem counter-intuitive for a landlord to request that a long term rent-controlled tenant continue to sign a new lease, but counter-intuitive for landlords can be beneficial for tenants. You are protected from nasty rent increases, OMI notices or Ellis notices that become effective before the end of your lease. If you’ve lived in your apartment a couple of years, the market value of your rental will be markedly higher. If you decide to move and you give the landlord a 30-day notice to vacate before the end of the term of the lease, you will be in breach of your lease. The landlord, however, has a duty to mitigate (lessen or eliminate) his damages. He can do that by renting the apartment for the same amount of rent as you pay. As you said, the landlord will be happy to see you go because he can charge more rent. Some landlords tell you that they can sue you for all of the rent that would be paid if you did not move out early. Not true. Others will attempt to keep your security deposit as damage for your breach. If you leave the apartment in the same condition (excepting normal wear and tear) and the landlord rents the place for the same amount you were paying, he has been unjustly enriched. If you have a lease and you want to break it, I recommend that you make a deal with the landlord ahead of time. Before you give him a thirty-day notice, point out that you want to move and he will be making bank because you are vacating. Ask him to agree to release you of any claims he might have for your breach and to return you security deposit. Get the agreement in writing.